This Christmas my husband and I decided to break our Christmas traditions. 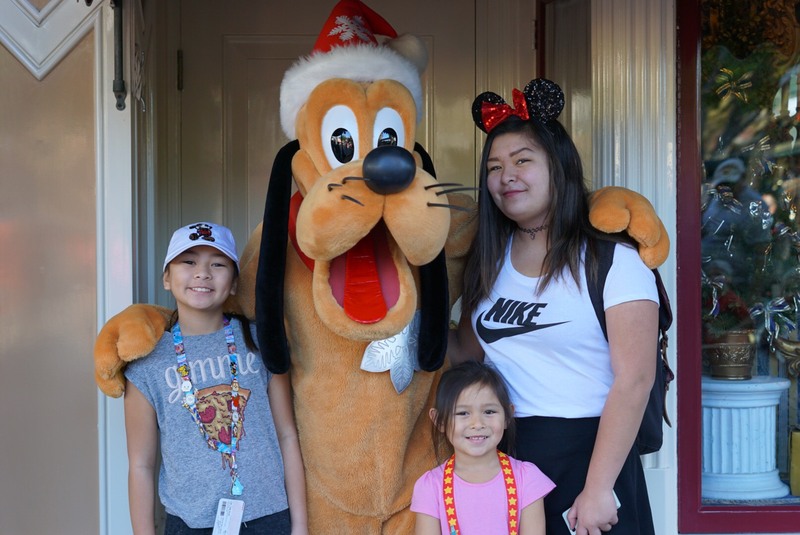 Instead of buying the kids a bunch of stuff my parents and husband and I surprised the girls with a family vacation to the happiest place on earth; Disneyland! My gut was a bit worried that the girls may be disappointed that we decided to leave our typical Christmas traditions behind. In fact, after they found out about the surprise, (and although they were extremely happy and excited) they did question whether or not we would be missing our traditional Christmas, such as dinner with the family. 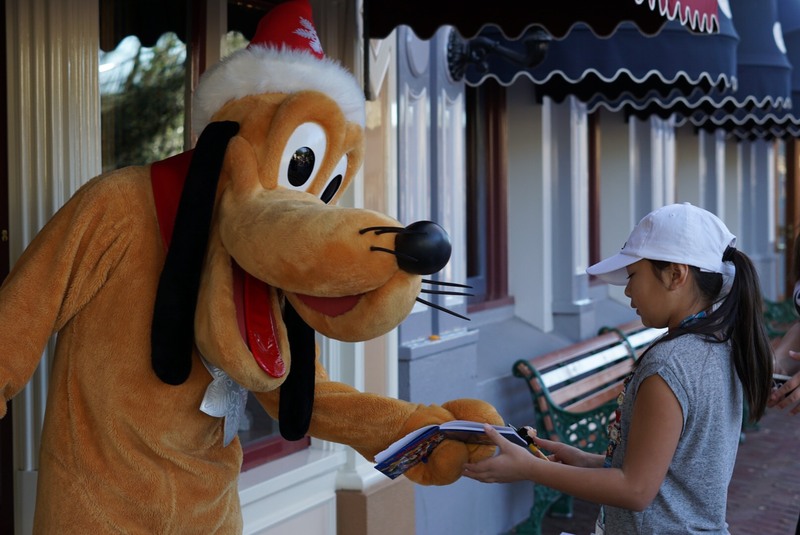 They didn’t, however, ask about gifts because they knew the gift of going to Disneyland was huge in itself. But they did wonder about the important things that they value such as the quality time we spend on Christmas day with our extended family and closest friends. In other words, they were excited about their Christmas surprise but also felt a bit sentimental about doing things differently, until…we got to the airport. They were going on a plane ride! And not just any plane ride, but a plane ride to the happiest place on earth! This was the first plane ride for our youngest daughter who is five and our middle daughter doesn’t remember her last trip because she was only two at the time and she’s ten now! In fact, my husband hasn’t been on a plane since 2008 too! Needless to say, the excitement hit everyone. We were going on our first family trip (that required a plane ride), just the five of us for the holidays. And not just any plane ride, but a plane ride to the happiest place on earth! This was the first plane ride for our youngest daughter who is five and our middle daughter doesn’t remember her last trip because she was only two at the time and she’s ten now! In fact, my husband hasn’t been on a plane since 2008 too! Needless to say, the excitement hit everyone. We were going on our first family trip (that required a plane ride), just the five of us for the holidays. This was the first plane ride for our youngest daughter who is five and our middle daughter doesn’t remember her last trip because she was only two at the time and she’s ten now! In fact, my husband hasn’t been on a plane since 2008 too! Needless to say, the excitement hit everyone. We were going on our first family trip (that required a plane ride), just the five of us for the holidays. 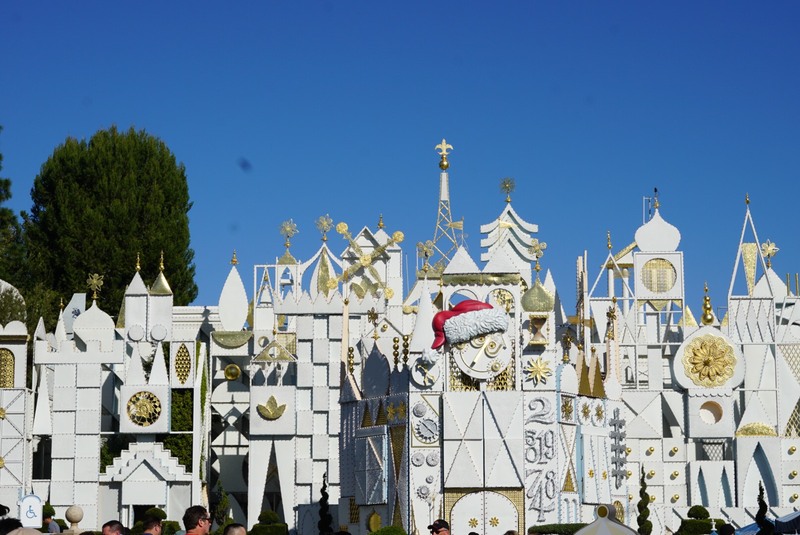 Since Christmas week is the busiest week of the year we purchased 5-day park tickets so we could take our time and do as much as we could despite the crowds and long line-ups. 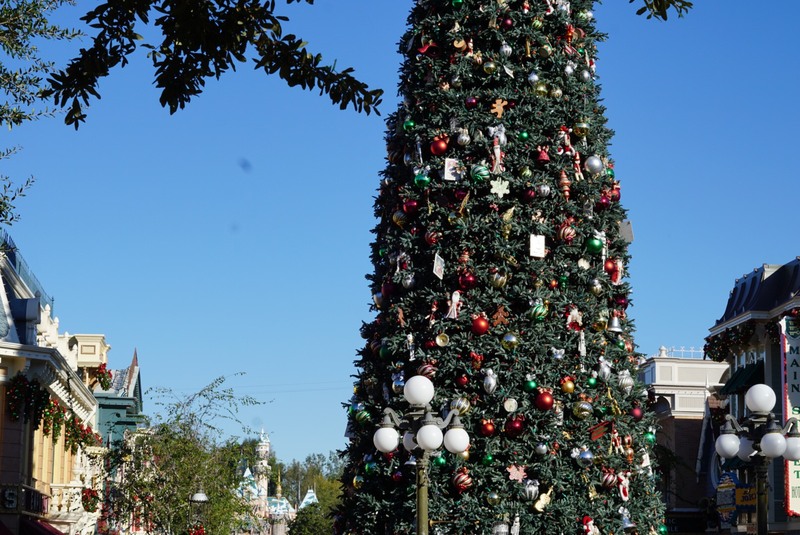 We left our hotel which was 10 minutes away from Disneyland bright and early on Christmas morning so we could arrive at the park when it opened. It wasn’t as busy as we expected but when we officially walked into the park, it was as if we entered an entirely new world! Christmas decorations were everywhere! Christmas music was playing. The Disney Characters were dressed in Christmas outfits and hundreds of people were decked out in red and green Minnie Mouse ears, festive lights around their necks and so much more. Christmas cheer and amazing holiday energy filled us with so much joy! Can you believe we stayed at the park from opening until 11 pm with a five-year-old in tow? We rode as many rides as we could and we didn’t mind standing in line-ups. It was actually really nice to spend that time with one another chatting. 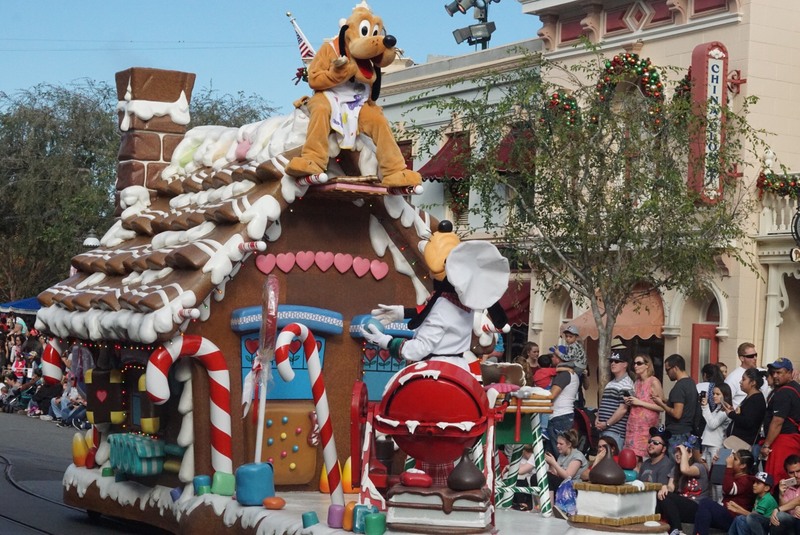 We also managed to watch two parades (with front row viewing spots)! The girls loved the parade on Christmas day because we saw Santa and they loved the amazing night-time parade too! In addition, we met some characters. The girls were obsessed with trying to get as many characters signatures in their autograph books as they could. They also really got into the whole pin trading thing. 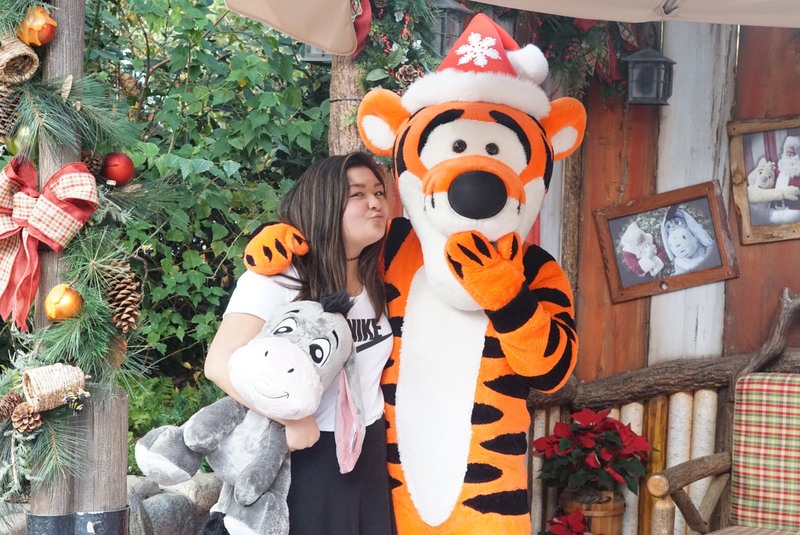 We were so immersed and in awe at everything the park has to offer, especially at Christmas! The girls said it was the best Christmas day they’ve ever had! We spent three full days from opening until the parks closed in Disneyland and California Adventure Park. Our feet were killing us, but we managed to ride almost every ride! Charley is a dare-devil and tall enough for most of the rides so we enjoyed each ride as a family. It was SO much fun except I felt like throwing up on Space Mountain. I do not know how our youngest sat in the front with her hands up. What a brave soul! Below are some photos of our adventures at California Adventure Park. The weather was 26 degrees that day! We most definitely weren’t missing the snow at home. The cars ride at California Adventure park was our favorite! Charley loved wearing her Wheat Disney outfit at the theme park. After three very full and fun memorable days in Disneyland, we took a one-day break to explore California ( I will share those adventures in another post soon) and then on our last day we went back to Disneyland to ride the rides we missed, and simply take in the Disneyland Holiday magic for a few more hours before we came home. Disneyland really felt like the happiest place on earth. I cannot believe our youngest daughter lasted all three days until close ( without any meltdowns) and rode all the big scary rides with us! I’m not sure if being at Disneyland during the busiest time of year is for everyone but we made the best of the busyness. In truth, I think we were just super happy to be on a family vacation! The best part of the trip for me was watching my daughters laugh, and connect. We all get caught up in our mundane life activities. My teenage daughter loves engaging with her friends now more than she does with her sisters. Our other two daughters irritate one another like crazy, but on this trip, I watched them bond and get along. In essence, the memories we made this Christmas will last a lifetime. The girls mentioned this was the best gift ever and admitted it was so much better than getting all the stuff they usually get. I hope to travel and enjoy more experiences with my family because I value experiences and the memories we make far more than I value “stuff”. This trip confirmed for me that the stuff in life doesn’t make me happy, but the experiences I share with the people I love does.